Clay Aiken – Strength & Courage To Soar! “Today, I will be too calm for worry, too noble for anger and too strong for defeat. Today, I will believe anything is possible…I will walk through fear without hesitation. Today, I will stand for something. The Memorial’s twin reflecting pools are each nearly an acre in size and feature the largest man-made waterfalls in the North America. The pools sit within the footprints where the Twin Towers once stood. 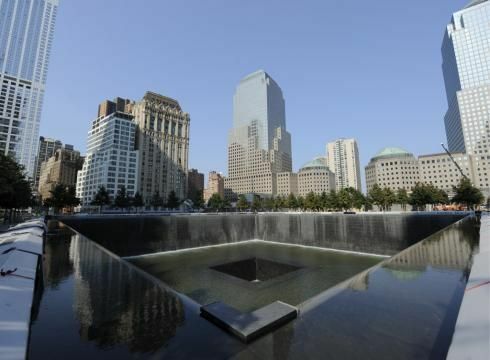 Architect Michael Arad and landscape architect Peter Walker created the Memorial design selected from a global design competition that included more than 5,200 entries from 63 nations. Today, I dedicate this article to Rahma Salie and Michael Theodoridis. These two young people were on the way to California to participate in my son and daughter-in-law’s wedding. They, and their unborn baby will always hold a special place in our hearts. 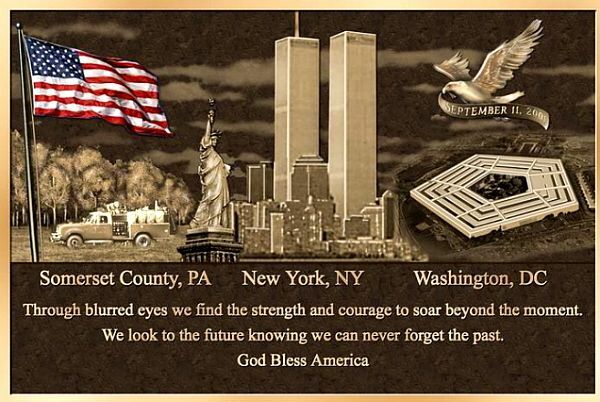 Where were you on 9/11/2001? Do you have a personal story to share with us? Clay Aiken attended the Kelly Clarkson/ Maroon5 concert in Raleigh, NC on Tuesday night. I hope that Clay, Kelly, and Quiana had a great time together. It’s great that they are good friends! Love love love this picture! Thanks Clay and Kelly!!! I'll always remember where I was when the second plane hit. The first one had hit and my husband came in the livingroom and told me to turn on the tv. Unbelieveable! Was it really 10 years ago?? Whoops! I meant 12 years! Beautiful photo of Clay and Kelly. I remember watching this disaster on tv and at first I thought it was a movie, and then I realized it was real, it was so terrifying to watch, hope this never happens again. I truly believe this day will always be embedded in our minds…Such a terrible loss. I remember Musicfan about the couple and unborn child lost in the tragedy. But it is good to be reminded. Thank you as well for the lovely picture of Clay and Kelly. They are such good friends, after all these years. I was at work when this happened also-a government agency. We remained open , but someone had a small( 10 inch) TV and we all crowded around their desk to watch it. I think we all were so shocked, the impact did not hit us until later. In my lifetime, this event, the shuttle disaster, and Pres. Kennedy's death will always be etched in my memory like it happened yesterday. Thanks for posting the pictures from the 9/11 memorial- such a stirring sight. It is sobering to see all the names engraved there. I am sure there are so many people who along with you, your son and dil have a story to tell regarding a person'(s) whose name is reflected there. I love that Clay went to see Kelly and love the picture of them together. Clay makes friends for life and has many of them.He is a good man. I love that rendition of GBTUSA and what a treat tweet, he and Kelly look so adorable together. I was in college when 9/11 happened here in Toledo. I remember that it was a beautiful, bright, crystal clear morning & that I was listening to one of the local radio stations & they just got finished playing something & the DJ came on & said, "We interrupt this broadcast to tell you that something tragic has happened. One of the twin towers in NYC has been hit & there's a lot of smoke & fire. We aren't exactly sure how it was hit, but something did hit it, causing it to go up in smoke & flames. Please stay tuned to this radio station for further details." Then I went to class, kind of in shock & when the prof came in, she told us that the other tower had been hit. Then @ noon, we were all sent home instead of staying in school, b/c everyone was so afraid after the Pentagon & PA that another city was going to be attacked. Can't believe it's been 12 years already!!!! But the next year in 2002. my parents, Nana (Grandma) & I were in France & we danced/boogied in the Hall of Mirrors @ Versailles. Would go back to France in a heartbeat!!!! Great pic of Kelly & Clay too! Thanks as always for sharing!!!!! 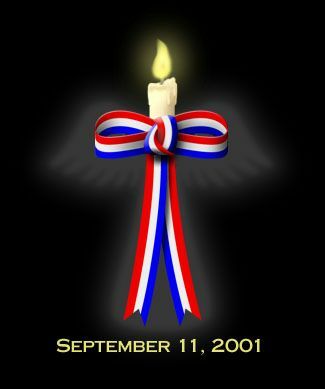 To all those who died in the 9/11 attacks & their families, may the dead ones rest in peace & may the families find a moment of joy on this tragic day!!!! P.S. I am STILL not getting the e-mails since you guys switched. Do I need to switch to something else or what? If an admin, would PLEASE help me out, I'd GREATLY appreciate it!!!!!! Thanks In Advance!!!!! Ellison….I am heading out for a few hours, but I will let you know about the e-mail when I return home…sorry that it has been frustrating for you!! I'll be back before the end of the day! If you were subscribed using the email address that you used for posting a comment, then I do not see it on the list of subscribers. Please use the form in the sidebar under "Subscribe to Clay Aiken News Network" to subscribe to the email list. Once you send in the form you will receive a confirmation email that you will have to click on a link to confirm your subscription. Once you do that, you should start receiving the emails tomorrow. Hope this helps! I'm so sorry about your son's friends. On a happier note, Kelly and Clay are so cute together in that photo. running for her life, when the first building collapsed. She fell, was trampled and could not breathe from the smoke and ash that enveloped the entire area. She said "two angels" picked her up and helped her towards the Brooklyn Bridge where everyone was heading to escape. She looked like a ghost. She never had the chance to thank her rescuers as they disappeared into the crowds. She lost hr purse, shoes, and phone. A stranger gave her a pair of sneakers to put on. My son (who was not working that day, thank God, met her at the end of the bridge and took her to a hospital to decontaminate. I am thankful for her survival. My heart and prayers go out to the families of the lost and to all here who lost loved ones. Error: Error validating access token: Session has expired on Tuesday, 21-Aug-18 16:13:01 PDT. The current time is Thursday, 18-Apr-19 21:46:31 PDT.